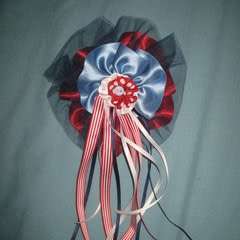 Brony Bow! 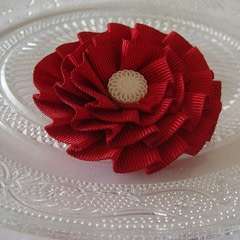 · A Ribbon Brooch · Creation by Sara J. For children and 80's children! I was an 80's child! 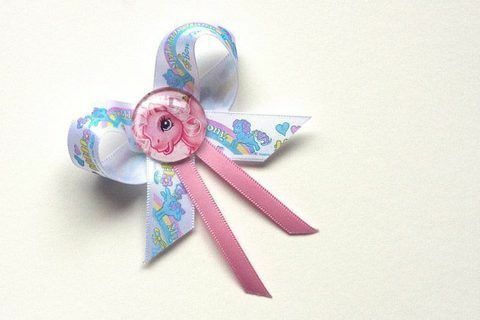 I bought some my little pony ribbon from ebay. I purchased the images from the wide choice on etsy. They were printed in high quality. 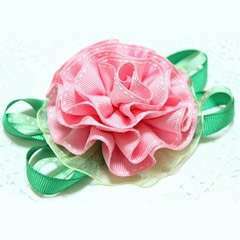 I made a simple ribbon with glue and invisable thread. 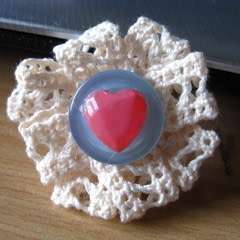 Using diamond glaze I glued the image to a glass cabochon. I attached a brooch back to the ribbon and glued on the cabochon to finish my Brony Bow!! 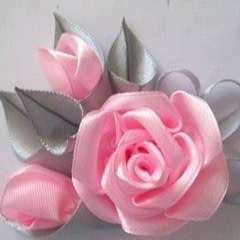 How To Make A Ribbon Rosette Brooch!